Hello and Happy Tuesday! Well by now you should have survived Monday so we've got that going for us! 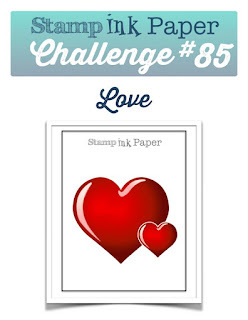 lol Since it Tuesday, it's time for another Stamp, Ink, Paper Challenge and this week is all about Love! I was super excited to get my hands on this adorable Altenew Stamp Set "To the Moon". The layering moon is just gorgeous! I also used the Altenew Warm Gray Mini Cube set to stamp it. I just adore having my Misti for layering stamps like this! Here's my card! It was really hard to capture all of the distress ink layering in the background in this picture. I started with a piece of Neenah Classic Crest Solar White cardstock in 110# weight. I started with my round mini distress ink blending tool by blending Tim Holtz Distress inks in Broken China, Peacock Feathers, Seedless Preserves and lastly Black Soot around the edges and then lightly over the middle. I spritzed with some water and then dabbed with a paper towel to make some light splotches. I used my Mama Elephant Basic Creative Cuts Dies to cut my stitched panel. Next I used Altenew Jet Black ink to stamp my sentiment. I used my Misti to line it up and to make sure I got a good impression. After stamping a few times I decided it needed a little more emphasis so I added a layer of versamark embossing ink and some Wow Black Embossing Powder and used my heat tool to emboss it. 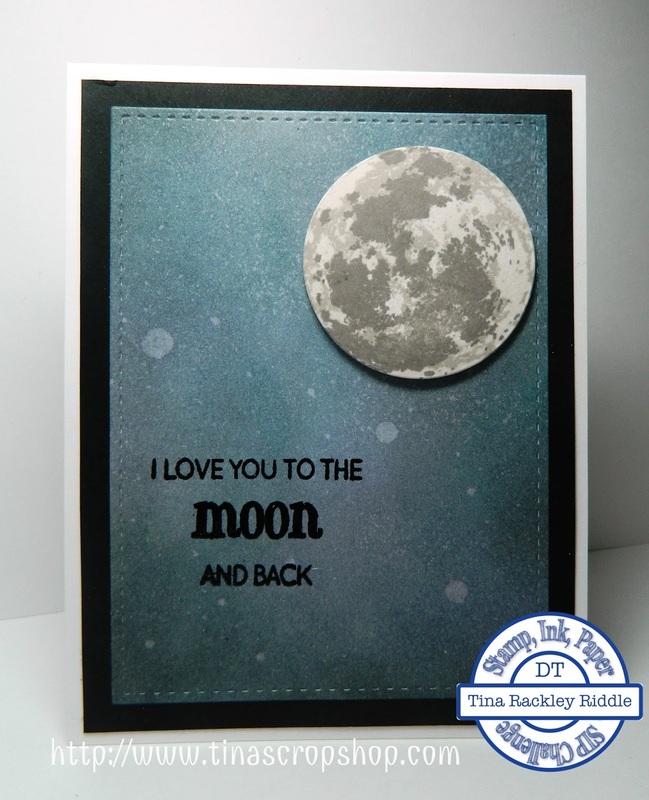 Next I used another small piece of the same white cardstock in my misti to stamp my gorgeous moon. I used the lightest of the warm gray ink cube set.. Morning Frost to stamp the solid image of the moon. The 2nd layer was stamped with the next darkest color.. Evening Gray. The final detailed image of the moon was stamped in the 3rd darkest color..Moon Rock. I just love how it turned out. I was lucky enough to find one of my SU layering circle dies cut the moon out perfectly. I used Foam tape to adhere it to my stitched rectangle layer. I attached that layer to a 4" x 5 1/4" piece of Basic Black cardstock and then mounted that on a Neenah Classic Crest Solar White 110# card base that measured 11" x 4 1/4" and was scored at 5 1/2" for a top folding card.